Create a PHP single page named contact.php that accepts inputs and sends email to a certain recipient. Basically, this serves as the usual contact page used on a PHP based website. This is the server side code that sends the message to the email using the mail(). This PHP function allows you to send e-mails directly from a script. The sample below sends a simple text email. NOTE: The code requires you to have an installed and working email system in your server to function. It is also important to set the php.ini configurations properly. Setting this up will not be discussed in this tutorial. This part of the code gives you a HTML layout that accepts inputs. It is then sent to the same URL location ($_SERVER['PHP_SELF']) where the action above will take place. Though, upon clicking the submit button, a script validation will take place first before proceeding. The script validation is merely a checking of data on the client side before passing it to the server functions. Here simple validation takes place in case the browser doesn't support the HTML5 code we used above. * YOU CAN ACTUALLY DO A BETTER CHECKING ON THE SERVER SIDE USING PHP ON THIS SAME PAGE. Hello, I would like to comment on this solution. I give tests for new programmers all the time. A couple glaring mistakes in this example would make me consider the candidate twice. First, turning off error reporting. That's a very bad choice. If you're in production, you might want to turn off display errors, but definitely not stop the error reporting. Next, instead of checking if($_POST['.... you'll want to use 'isset' - if (isset($_POST['.... - because this will not generate errors if it is not a post. Finally, you'll want to filter for new lines or validate email addresses for the $from email. 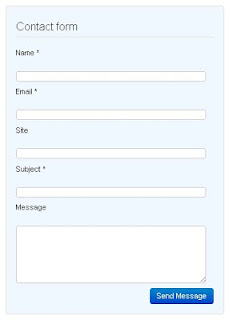 It is possible that a malicious user could put in an address like "test@test.com\nbcc:other@addresses.com" - which would allow this form to be used to spam other users by adding additional headers. Actually, regarding the isset and the one I've used, I usually advice to use isset too. Though, I honestly, forgot this function while I was doing the test code ( Probably because, I rarely use PHP :p ). So my initial reaction was to use something very basic. Thanks for mentioning though. Same with the email validation, I made it very simple but I'm definitely sure that there is a better way of doing things like using a regexp.